I like cookies. This is fact. I more than like whiskey. Does it stand to reason, then, that I would like whiskey cookies? If you just smash together two good things, does it yield a great thing? 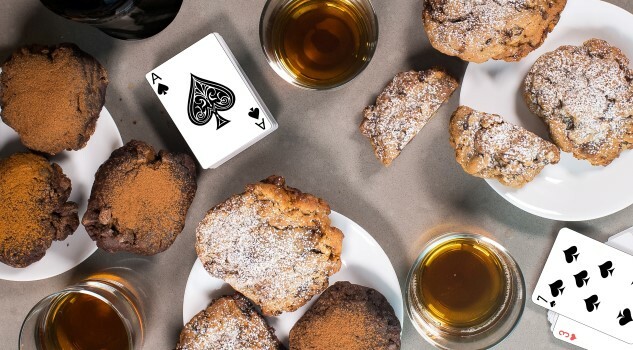 That’s what this little taste test is about to find out, because whiskey cookies have been brought into the world and are available now, courtesy of the New Jersey-based company Bang Cookies. The online cookie retailers have crafted a lineup of four whiskey-based cookies for the fall, complementing their usual lineup of organic jumbo cookies. And we got to taste ‘em. In case you’re wondering what jumbo, whiskey-infused cookies might look like, they look a whole lot like this. Those are the “pumpkin spice bourbon crack cookie,” and the “bourbon kitchen sink,” but the lineup also includes the likes of “cinnamon whiskey crack cookie” and “bourbon walnut toffee.” And wouldn’t you know it—we sampled all four, and they are memorable (and huge). The one thing they have in common, is that all four are infused with organic bourbon from Chicago’s Koval Distillery. Now, let’s get to tastin’. I have to be honest—I started with the “pumpkin spice” offering fully expecting that it would be my least favorite of the group, and it may have actually ended up as my favorite instead. Although pumpkin spice lattes—and the majority of pumpkin beers, come to think of it—are offensive to my palate, here it actually works, in something that is meant to be an unmitigated dessert. This thing is spicy as all get out, with tons of sweet cinnamon and fall spices, but the thing that holds it all together is the sheer amount of chocolate in here. There’s a very faint whiskey character, but mostly this is just a deliciously spiced, chocolate-heavy cookie. It reminds me of a beer like Perennial Artisan Ales’ much sought-after Abraxas, which is rocking the whole “Mexican hot chocolate” flavor profile. It’s like a dipped churro or something. To me, this cookie ended up having the best balance of “bourbon” qualities and cookie qualities of the bunch. Not my favorite, but then again, I don’t love walnuts. This one is full of chewy nuts and still contains plenty of chocolate, but it has a bready, doughy texture that I don’t love. Moreover, as much as I search for anything whiskey-like in the flavor profile, I’m just not getting it. Not a bad nutty chocolate chip cookie, but it doesn’t have the whiskey oomph to make me take notice. So, you want at least one of these things to be a straight up whiskey bomb? No problem, just order the Cinnamon Whiskey Crack Cookie. This one is considerably more boozy than the others, but otherwise has a lot in common with the pumpkin spice. It goes even harder on the cinnamon, which means that if Fireball is your jam, this is undoubtedly the cookie for you. Now, given that I hate Fireball, one might expect that to mean that I also hated this cookie, but that didn’t end up being the case. 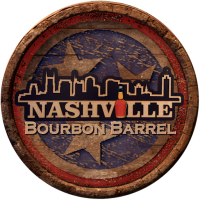 You get considerably more of the other whiskey elements in here, with lots of caramel, vanilla and molasses flavors, and there’s still a whole lot of chocolate as well. All in all, I’m a sucker for this double chocolate dough that Bang is using for its darker cookies—you could probably put anything in this dough, and I would eat it. So there you have it! Bourbony cookies can at last find their way into your kitchen, perfect for bourbon (or milk) accompaniment. And if you’re worrying that these are only available in New Jersey, there’s no need to fret—Bang will apparently deliver them anywhere in the country, which is both surprising and impressive. Check out the full menu of boozy cookies (and order, if you like) at the official web site.